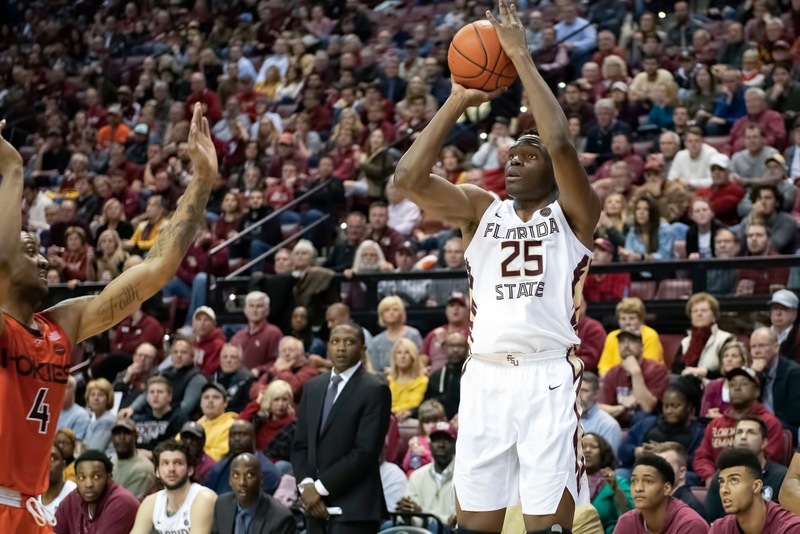 Florida State basketball redshirt sophomore Mfiondu Kabengele announced on Tuesday afternoon that he would test the NBA waters and declare for the draft. The announcement was a shock to most observers, as Kabengele is widely regarded as a second-round pick at best. Despite his very promising recent season, Kabengele is still raw as a player and has a lot of risk for any team willing to draft him. We should note that it’s still possible Kabengele can come back. If he goes undrafted (not out of the realm of possibility), Kabengele is allowed to return, according to a recently passed NCAA rule. However, it’s fair to start asking what the team will look like if Kabengele does indeed head to the pros. The raw numbers suggest that FSU is losing arguably its best player. While most would say Terance Mann takes that title — and he probably is the best choice — the production favors Kabengele. He was the team’s leading scorer and shot blocker, as well as its second best rebounder and overall shooter. All this despite not technically starting (he still played over 20 minutes per contest). His NCAA Tournament production was especially eye-popping. Kabengele averaged 17 points per game, eight rebounds per game, and two blocks per game. 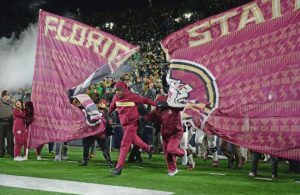 That was likely what the Seminoles would witness in the 2019-20 season, had Kabengele elected to return. Instead, they will miss their most efficient scorer and most impactful defender. Yet, the numbers don’t fully capture the impact of Kabengele heading to the NBA. Mainly, he was the star at a position where Florida State is now surprisingly thin. Phil Cofer is the biggest name of the group. He has used all his years of eligibility and cannot return for 2019-20. Christ Koumadje was a senior center and one of the few other reliable big men in the rotation. Now that he’s graduated and Kabengele is banking on his draft stock, Florida State lost its three best frontcourt pieces. The depth chart behind that trio is a lot of inexperience and even more youth. By far the most experienced is RaiQuan Gray. The redshirt sophomore to-be made tremendous strides last season in becoming the stretch forward that the staff knows he can be. Gray averaged over 12 minutes per game, but his usage in the NCAA Tournament spiked due to Cofer’s absence. He played over 20 minutes in all three contests. His final game against Gonzaga was a dud, but Gray still looked capable in the first two against Vermont and Murray State. The growth was easy to see as the year went on. But Gray still doesn’t strike observers as a primary starter just yet. Instead, it’s more likely that he will be part of an active rotation. It’s the players behind him that have much less known quantities. 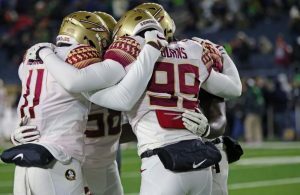 Here’s a fun fact: FSU will have no non-true freshman centers for next season. Instead, it has two centers committed in the 2019 class: 4-star Balsa Koprivica, and 3-star Naheem McLeod. Koprivica’s eligibility is in question, while McLeod is a project player (though not as much as his ranking would indicate). So Florida State probably won’t play either prospect much. 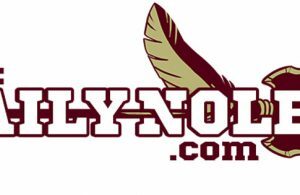 That means head coach Leonard Hamilton and staff will probably go back to the drawing board and have to rework the team into a small-ball style squad. A frontcourt of Gray and transfer Malik Osborne would likely be the “biggest” of all the usual lineups. But overall, the team will be dominated by guards and forwards. Being quite honest, it will be a serious challenge for FSU to return to the NCAA Tournament without Kabengele. While it’s still possible that a loaded backcourt propels FSU to another appearance, it’s a daunting task in the ACC. In addition to his numbers and his position, Kabengele was a veteran player who had proven himself on the biggest of stages. Even if the 2019-20 season was rougher than expected for the Seminoles, they could have Kabengele leading the way alongside Trent Forrest. Now it’s just Forrest and whoever can step up beside him. Kabengele’s departure is unlike most recent draft declarations for FSU. It was very unexpected and the succession plan isn’t all that clear like it was for other players. This is a new challenge for Hamilton, and he has his work cut out for him in the coming months.